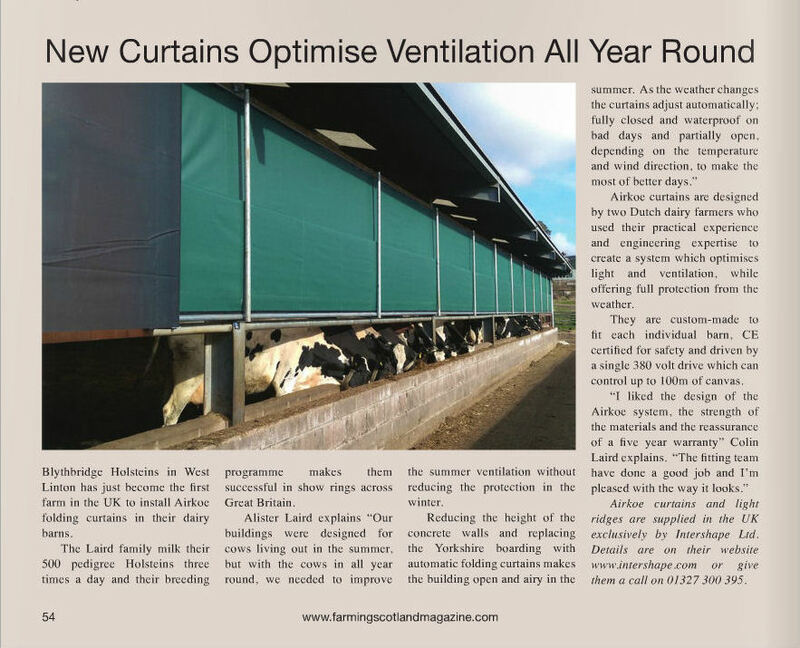 Airkoe folding curtains are specifically designed to create a light, healthy atmosphere inside dairy buildings; keeping your cows comfortable, stress-free and productive whatever the weather. 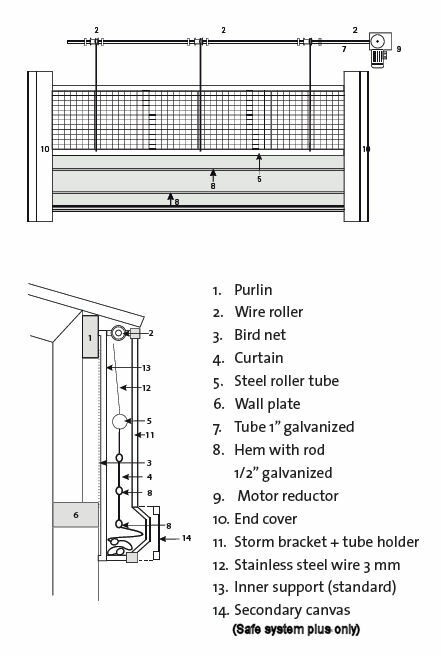 A powerful 380 volt electric drive turns the top bar which winds a wire roller attached to a tube at the top of the curtain, moving it up or down. The curtain is sewn in 60cm sections, with half inch steel rods inserted into each section to provide strength and stability when closed and neat folds when open. The canvas comes in various colours including green, grey, black and white transparent for maximum light. 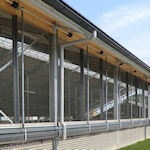 The drive system can be attached to a climate control computer which will automatically open and shut the curtains depending on the temperature, rain and wind. The Safe Plus system includes a secondary canvas covering the full length of the folded canvas when the curtain is open, giving an even neater finish. 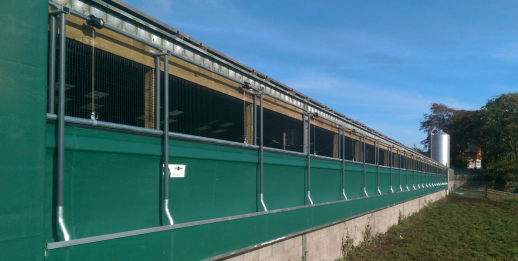 A bird screen can be added, the standard system comes with inner and outer brackets to prevent the canvas from catching or sticking to the screen. The curtains are made to order to fit the exact requirements of your barn and fitted to a high standard by our professional fitting teams. See pictures of curtain installations and details.